Both forecasters predicted calm last week but the price dived then a #Tether run made it jump up, canceling out the fall. Does that count? 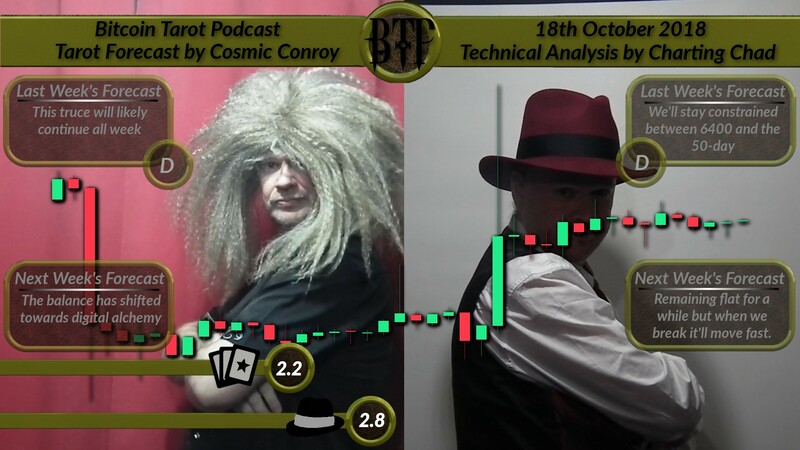 Our judges thought not, and both Tarot and Technical Analysis lose points this week. But what will the next week bring? Will Tether collapse? What will our forecasters predict for next week? And can Technical Analysis do any better than the tarot anyway? [TA-Synopsis] Remaining flat for a while but when we break it’ll move fast.